Winter Classes @ MAAG Ready to Launch January 2014! Finally, we’re ready to launch our Winter Class Series @ MAAG this coming January! From painting Rain Barrels, to Quilting, to Letterpress Printing, to Marketing YOU—there’s something here for both you and your family! Like what you see? Then download this form and mail in your registration. It’s that simple. Design And Create Your Own Rain Barrels For Spring! Additional Barrels $100/ea. if not supplying your own. With the cold and quiet of winter settling in, this is a great time to daydream about the beautiful greenery that surrounds us in the Germantown Avenue corridor. 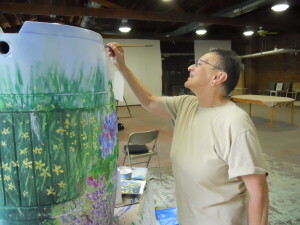 With the expertise of MAAGs Rain Barrel Project teachers behind you and leading the way, you will plan and create unique, sustainable works of art for your home and community. We will create and draw our designs, prepare the barrels with primer, paint together while finishing our designs, and then seal them for the warm season ahead. For our neighbors who have participated in the Philadelphia Water Dept. Rain Barrel Program, bring your barrels to the Garage! If you do not have a barrel, you can either purchase them locally or we can order as a group for a slightly better price. All ages are welcome to participate in this project. Children, ages 8 and up, must be accompanied by a parent. Cost of the class includes up to two participants per barrel. 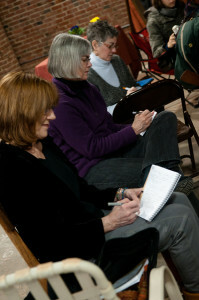 About the instructor: Arleen Olshan has been the lead artist for the Mt. 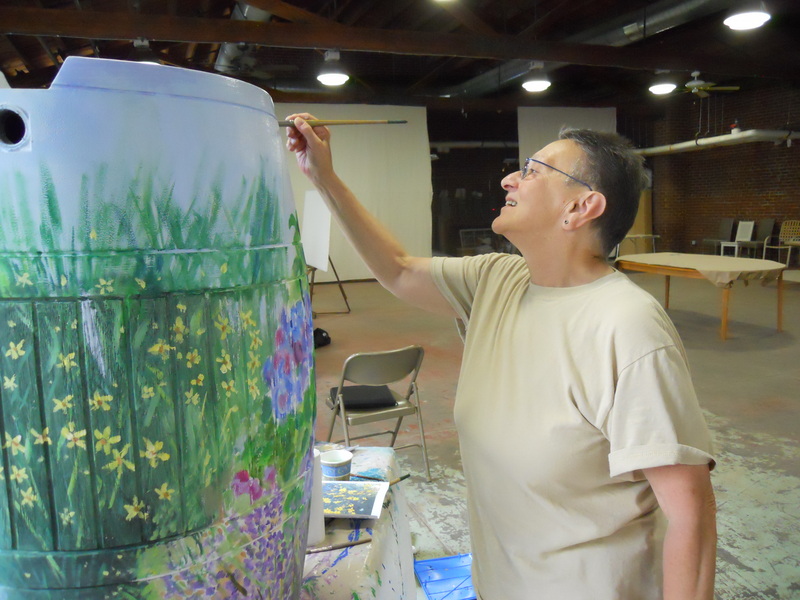 Airy Art Garage Rain Barrel Project for the past two years during which she worked with a diverse population of community members, artists, schools, and elder organizations ranging in age from 8 to 87! Arleen holds a Bachelor of Fine Arts Degree from the Pennsylvania of Fine Art and Philadelphia College of Art (now University of the Arts). Arleen is also a MAAG resident studio artist, a master handcrafter of leather accessories, and Cofounder of the Mt. Airy Art Garage. Are you a quilter who loves stripes but doesn’t know quite what to do with the striped fabrics in your stash? This is the quilt for you. This quilt lets you use all those striped and directional fabrics in an easy format to create a striking geometric quilt. The foundation of this design is nine patch. I will show you how to use the strip-pieced solids along with your stripes to assemble six-inch squares into eighteen-inch patch blocks. Simple strip piecing combining the solids and the stripes lends interest to the nine patch centers to create a truly interesting quilt. This class is appropriate for quilters with some experience, but advanced skills are not required. Basic accuracy in cutting and sewing is all you need to create this quilt. Students bring: Sewing machine in good working order and basic sewing supplies. 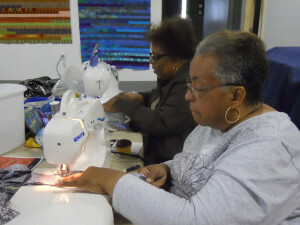 About the instructor: Sarah Bond has been a quiltmaker for more than thirty years. Her passion is demystifying traditional and modern quilt patterns and techniques to make them accessible to quilters of all levels. She has been teaching at various locations in the Philadelphia area for over fifteen years. Sarah is currently an artist in residence at Mt. Airy Art Garage. 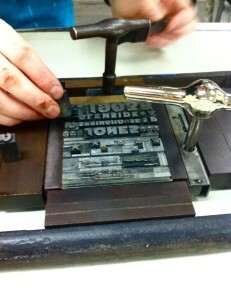 Explore the art of letterpress printing in this one-day introduction to printing from metal type. Students will learn the basics of setting type and printing with a small tabletop platen press. Get an overview of the basic tools of the trade, and learn how to use a pica rule, composing stick, leading, and spacing material. Become familiar with the layout of the California Job Case, and learn interesting facts like where the phrase “out of sorts” comes from. 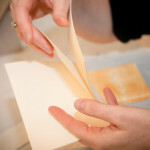 Learn how to mix ink, lock up a type form, and safely operate the press. Understand inking procedures, how to achieve proper impression, and press clean-up. Class participants will have the opportunity to set and print their own name or a short phrase on a simply-designed card. There is a $15 materials fee payable to the instructor on the day of class, which includes supplies, tools, ink, and a small quantity of fine paper. Bring notepaper and pencil for taking notes, and an apron or smock that can get dirty. You will leave with multiple copies of your first letterpress keepsake! Bring all your questions and curiosity about letterpress printing! Class is limited to six participants, so sign up today! No previous experience is required. About the instructor: Donna Globus has been printing with metal type for 18 years, and has taught workshops in printing and book arts at the University of the Arts, Cedar Crest College, and the Mt. Airy Art Garage. 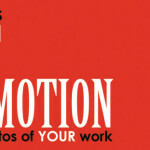 Her work has been exhibited widely, and can be seen at www.darkroompress.com. You have created your Masterpiece! Now what? Setting goals. Is it business or art? Creating a website. Is Facebook enough? Etsy? Networking. Where and with whom? Like what you see? Download the registration form and send it in! See you in January! http://mtairyartgarage.org/wp-content/uploads/2013/12/DSCN1788_1489.jpg 3000 4000 Arleen http://mtairyartgarage.org/wp-content/uploads/2016/06/maag-in-action_main-1024x274.png Arleen2013-12-12 15:23:422019-01-30 14:46:43Winter Classes @ MAAG Ready to Launch January 2014!